I have to admit it, I am one of those people who is motivated to go to the gym by wearing workout gear that I feel is comfortable and cute. Judge me. If you’re working out to be healthy, be active and feel better, I don’t see a problem with enjoying what you wear while you do it! 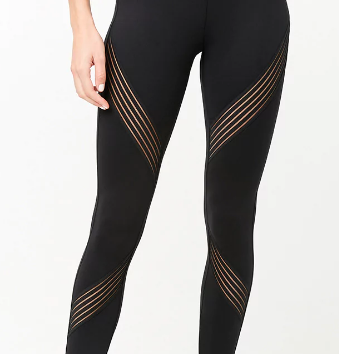 What I do see a problem with is spending $150 on a pair of plain black leggings that aren’t made of magic fabric that makes you skinner while you wear them. Now I’m not bashing people that find that to be their way of working out—believe me I have also been one of those people and have the expensive workout pants I hardly ever wear. But, I do believe that feeling good in what you’re wearing doesn’t have to have a high price tag. 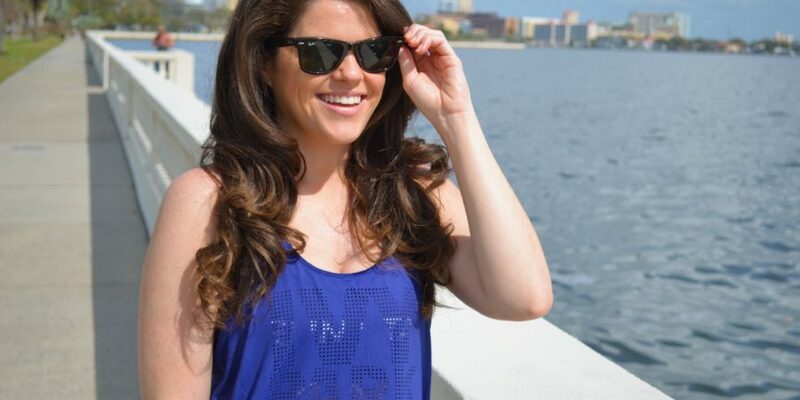 So, here are three ways I shop for workout clothes without breaking the bank. SALES! I know this is not an earth shattering discovery, obviously everyone knows sales are a good way to get deals on items you really want, but I still think it is worth noting. My Ivy Park shirt was on sale at Topshop and has been one of my go to workout items ever since. I don’t love wearing workout clothes that are too tight, that why this top called to me. The flowy design is comfortable and still trendy. Alternate retailers. While Forever 21 may not be your one-stop-shop to find the best workout clothes, but it is worth browsing! 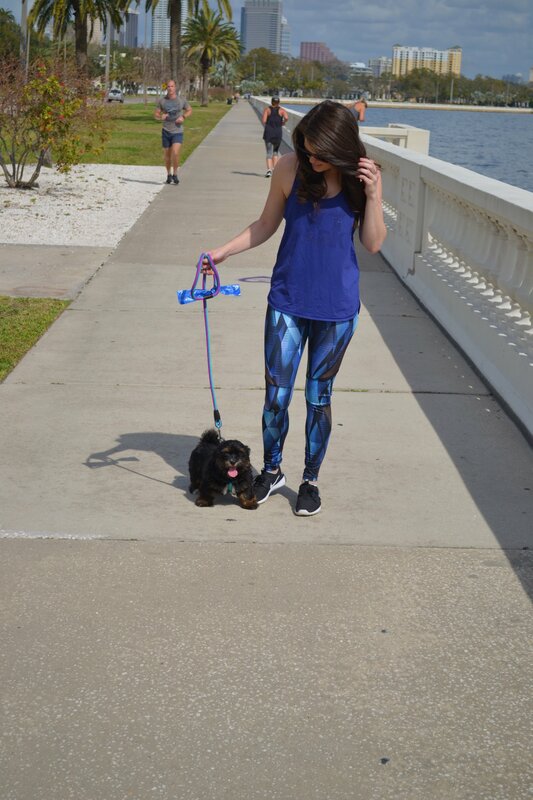 These leggings are from the trendy retailer and have been a benefit to my workout routine. 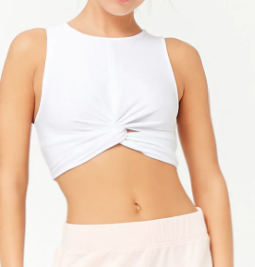 When shopping for athletic wear I hardly ever think to head to Forever 21, but recently its gear has impressed me. I love the cutouts on these leggings, the air flows right through them while still keeping my legs protected. The pattern isn’t too overwhelming on these and the multicolor fabric allows you to mix and match your on-the-go looks. 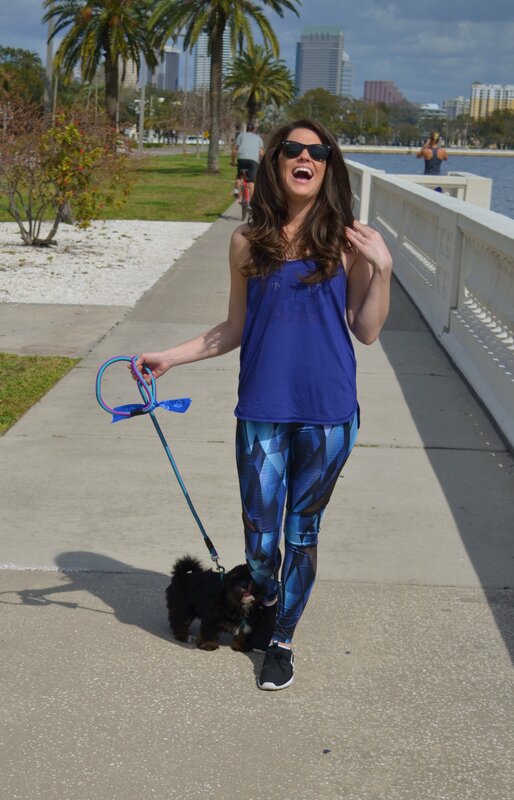 I also have been caught adding these leggings to some of my athleisure looks, because why not? Department stores. I know so many places specialize in athletic gear and may have more of a selection for you, but if you are someone like me, who has basic needs, department stores may also be right up your alley. When department stores have holiday deals—I take advantage! These Nike sneakers were on sale from Nordstrom. 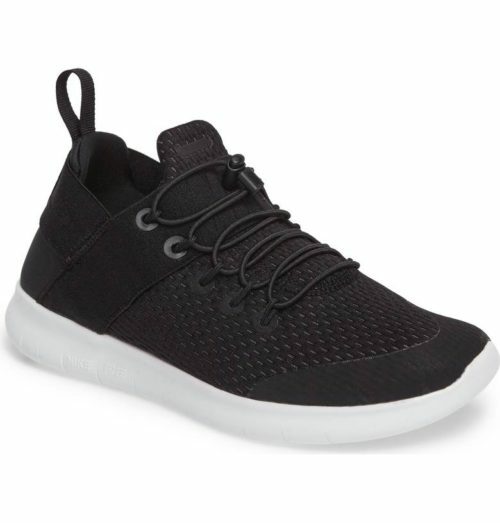 While I could have purchased these shoes from a variety of different retailers, the department store sale price is what sold me on these sneaks. Don’t worry I’m not kicking Gigi here, she loves rubbing against my legs! In other news, my dog might think she is a cat. 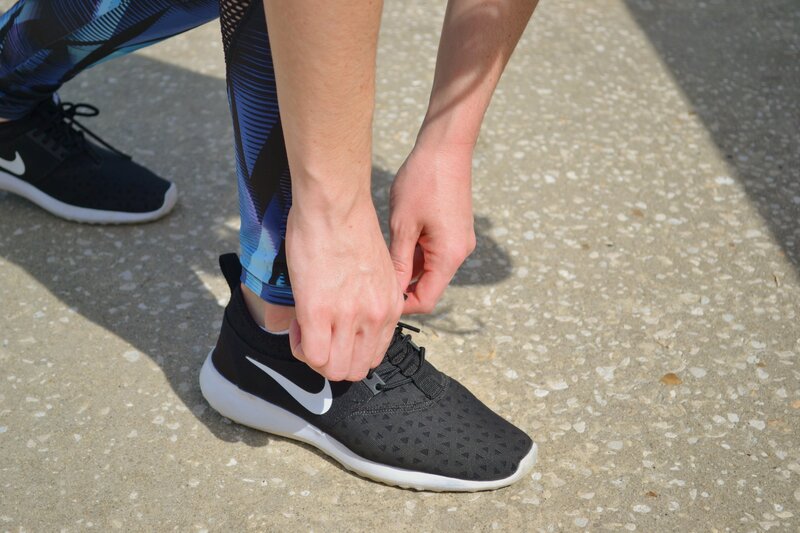 Whether you’re starting fresh, or looking to freshen up your look, buying athletic wear doesn’t have to cost you a small fortune. Let’s be honest, if you are paying for a gym membership, workout classes or a personal trainer you are already doing that! 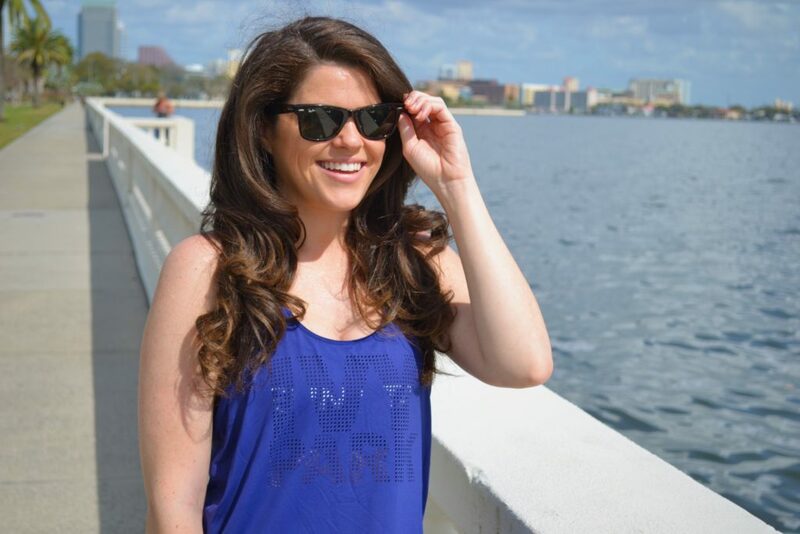 Don’t let the 179 college t-shirts you have sitting in your closet deter you, working out can be fashionable and trendy—without breaking the bank!